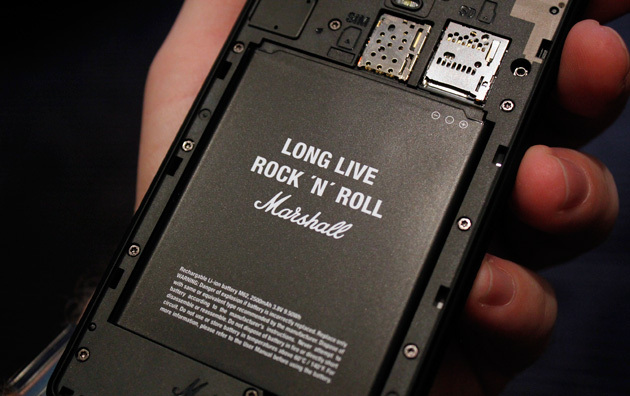 According to the Telegraph UK, Marshall will soon be launching "the loudest mobile phone on Earth." And if anyone knows how to play loud music well, it's the company whose products are featured stacked in mountains behind the world's greatest rock bands. Clad in the classic black-matte-and-brass of their flagship champ amps, the phone boasts competitive specs. Known as the London, it has two speakers just for rocking out - no headphones needed. Should you choose to plug in, there are two 3.5mm jacks, so you can share your sounds with a friend (and even adjust the two volumes individually!) Of course, they have a hi-fi-grade sound card included, to make sure every tune sounds tops. Listen to love songs with your sweetie, OR force your band mates to hear to your solo works! Fun! A brass button on top of the phone functions like an IV button for your ears: it connects immediately to the user's preferred music source. The onboard London music player supports mp3, mp4, FLAC and AAC files. A global equalizer rounds out the sounds. Other solid smartphone stuff is also there - an 8MP back camera, 2MP front camera, 16GB of storage (expandable through a micro-SD card), and the Android Lollipop software program for low audio latency. 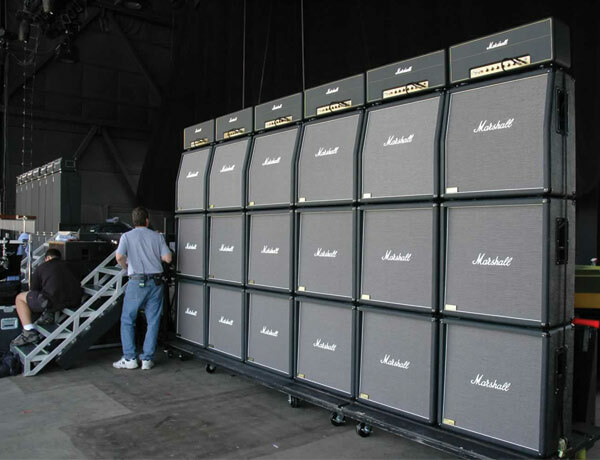 Konrad Bergstrom, the founder and president of Zound Industries (which includes Marshall) explained, "We always aim to go big. To always give our customers the best user experience. When there was no smartphone on the market putting the music on the main stage, we created it." *Pyrotechnics and screaming groupies not included...yet. Oh, and if you get tired to listening to all your tracks-to-go, the London comes with dual microphones and noise-reduction software, so you can record more music of your own! Not a rocker? No worries! A DJ app is included to help you mix things up. 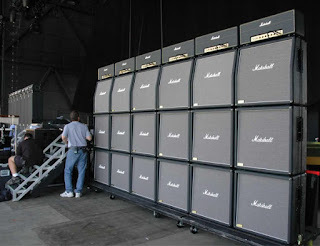 You can preorder the London on Marshall's website for £399 (around $623 U.S.) and have it in-hand by August or September, depending on where you live (London will be available in 22 countries.) Pre-orders also include a free pair of Monitor headphones. Whether for rocking or for talking, the London sounds great. they don't want to have to wire 10,000 smartphones together for every show.